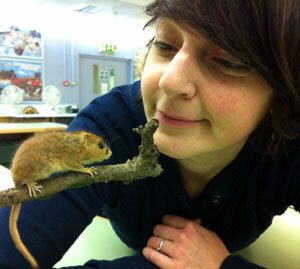 I am new to the NatSCA committee and very excited to be part of the team. I am a curator at the National Museum of Wales in Cardiff where I am part of the team that curates the mollusca and now also the vertebrate collections. My job involves facilitating access to both collections through collection enquiries, visitors, loans and new acquisitions. A large part of my job also involves outreach, events and exhibitions to promote the natural history collections to our visitors. My area of expertise has been molluscs for over 15 years, principally focusing on historical research of the collections. However, in recent years my role has developed to cover vertebrates, so I am learning new things about these strange animals with backbones!